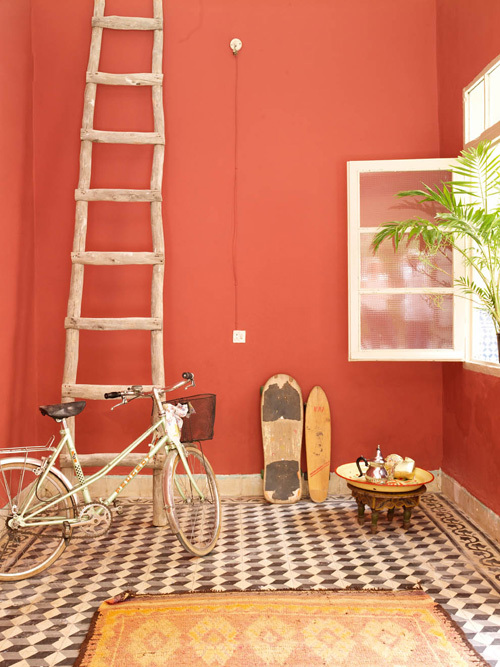 Julie Klear and Moulay Essakalli, the creators of Zid Zid Kids, are the owners of this beautiful riad in Marrakesh, Morocco. 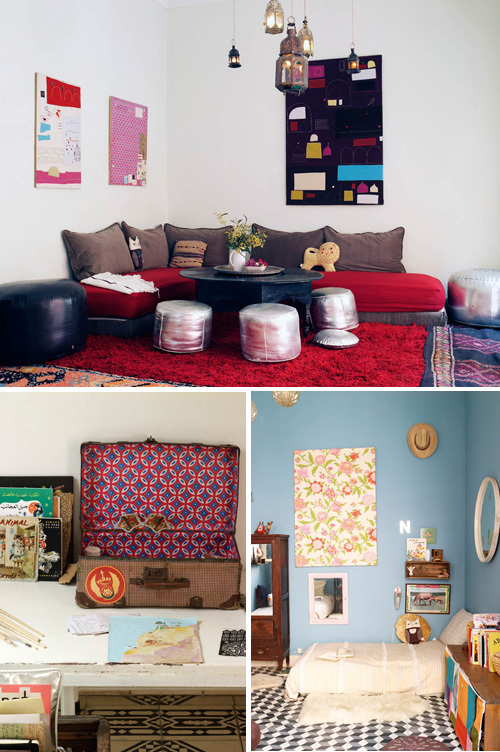 They live in their colourful home with their two children, Noor and Zak. 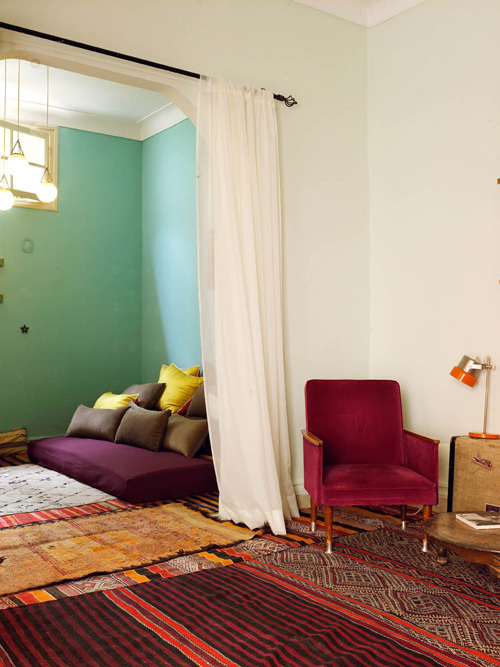 In their interior they have mixed a contemporary touch with traditional Moroccan craftsmanship. Just like they do with their beautiful Zid Zid collection. 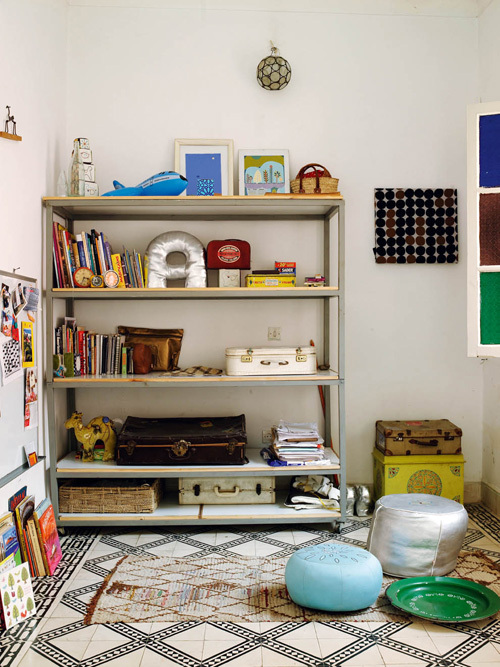 Their two children, who speak French, English and Arabic, have ample opportunity to express their creative talent. I love the warm colored orange wall. 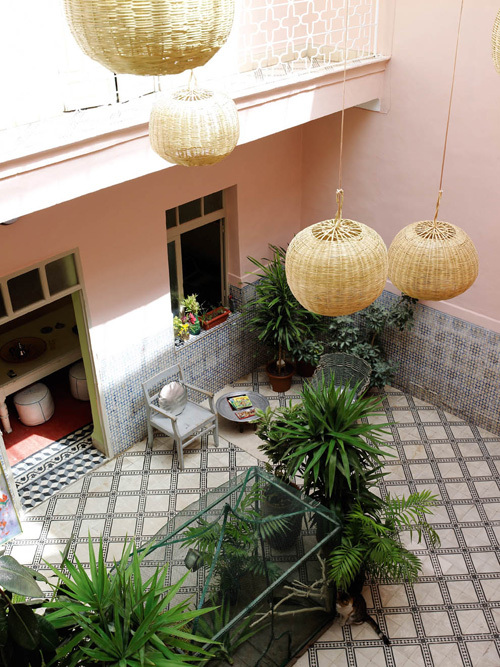 A Riad is traditional Moroccan house or palace with an interior garden or courtyard. 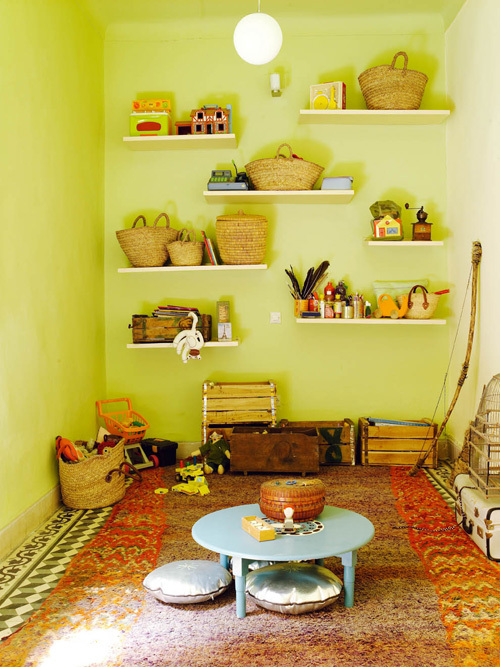 Of course you can find lots of Zid Zid items in Julie’s and Moulay’s home. Images by Gaelle Le Boulicaut/ via Milk Magazine. 1. 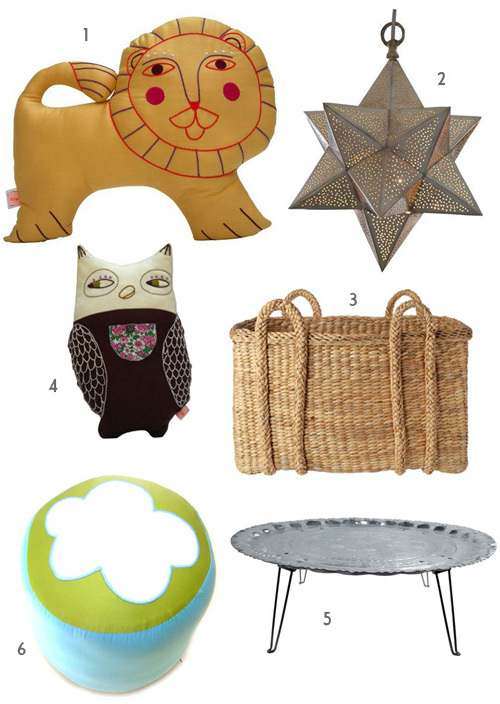 Zid Zid Lion Cushion, 2. hand-made copper pendant, 3. water hyacinth storage basket, 4. Zid Zid owl cushion, 5. folding table/tray, 6. Zid Zid Mini Pouf Cloud. Funny name! Zid Zid means “let’s go”or “move on, hurry up” in Moroccan Arabic. Adorable space! Such beautiful colours, and I love the interior courtyard! Just gorgeous! I also love the artwork mad from textiles?? I really like the hanging lights and the colours used for the home! The purple couch on the floor with those pillows look very comfortable too! What is the name of the paint color in the first picture. I’m looking for the picture jade and that’s it!